Acme AG-208TF 2U Opteron 6200/6300 database server. 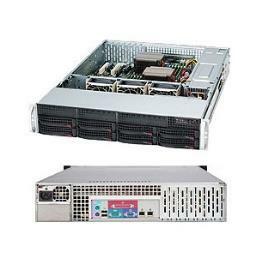 AMD Opteron 6200/6300 with 2U rackmount black color. Option to add Hardware SAS/SATA RAID controller. 8 of SATA/SAS hot-swap bays. Width: 16.8 in. Height: 3.5 in. Depth: 25.5 in.